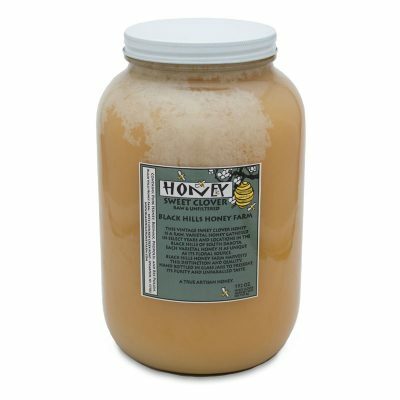 This is the best honey I’ve ever tasted. You can immediately tell the difference between this raw honey and the honey they claim is raw in the store. I bought this honey a few days ago at Lynn’s Dakota Mart, Sturgis, SD. I haven’t tasted honey like this since my childhood in Wales, UK. I can taste the flower’s and the texture is beautiful. It is a reminder of how it was before big corporations started cutting corners and processing all the goodness out of food and replacing it with chemicals. This is a wonderful find. Quirky Note: I noticed lots of bees during the warmer days in winter on the cracked corn I put out for the birds. Turns out the starch on the corn is a souce of food for them during the winter months!. I now put mounds out for them!. Purchased a bottle of this local honey recently and will never buy another brand. The texture and flavor is unbelievable. After eating this honey I tried some of the cheap, mass-produced honey and I could hardly stand the taste of it….sickeningly sweet and processed. 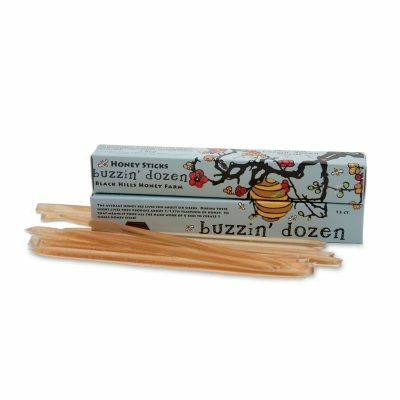 Thanks, Black Hills Honey Farm, for making such a wonderfully natural and non-processed product! After a trip to SD we stopped in at the shop at Mt. Rushmore where we purchase the honey. 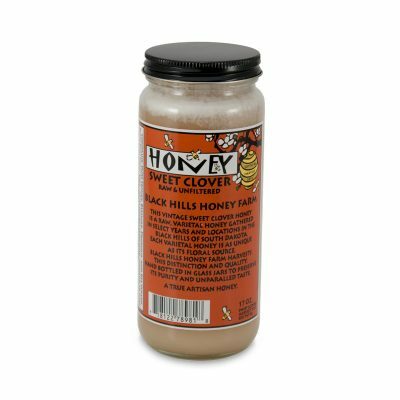 I didn’t care for honey until I tasted the sweet clover honey. Oh my gosh, Best ever. So much different than the stuff you get in grocery stores. So I am going to order more. Thanks for keeping it natural.